Television, the Internet, Free Access, and Copyright met head-on in the highest court of the Land, and yet again, it is the People that lost. Aereo, accused of spreading “digital anarchy by reselling others’ free content, without permission” was handed a less-than-clearly defined legal demise by The Supreme Court of The United States, signalling the likelihood of continued fierce battling over the nature of “Free Internet” and how Television is to evolve. I’ve posted extensively on how the Socchi Olympics quietly heralded a new era of television broadcasting, as all content was compiled live to the Cloud and processed before being re-transmitted to a global audience in real-time (albeit with a few seconds delay). Unfortunately, the Supreme Court didn’t appreciate nor consider the merit of such precedence of previous application when deciding once again to re-interpret earlier court decisions to reach a new one in a case that has far greater importance in the Technology world than the simple declarations of the lawsuit before them hints. Thus, the rise and fall of Aereo, the company that wanted to make TV available on any device via one simple subscription to a service that had earlier been ruled acceptable. Legal precedent in the U.S. has thus far indicated that members of the public have the right to record video from free broadcast recordings and have the right to record cable television — if they subscribe to it. But such recordings are only for personal use. Under U.S. copyright law and court precedent, if you share recordings with your friends, show a recording to a large enough group of people, or rebroadcast (e.g. 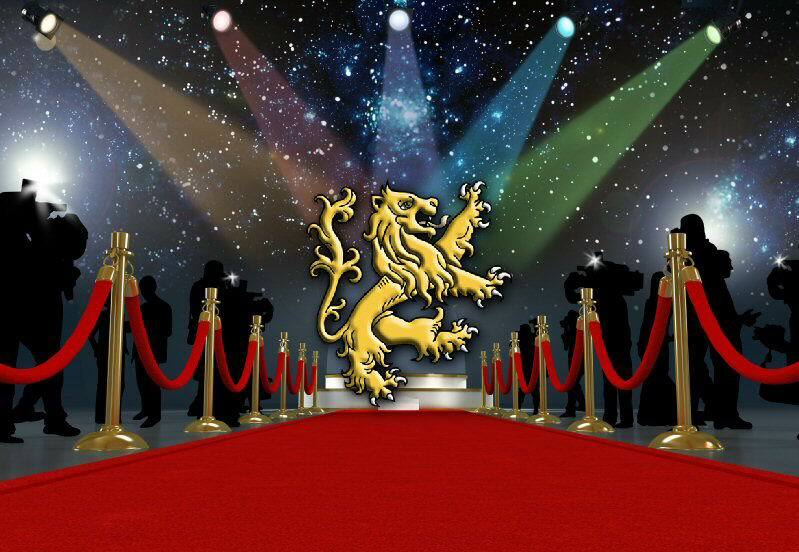 stream video to others) recordings, you’ve committed a copyright crime. Thus it didn’t exactly come as a shock when the Supreme Court of the United States ruled 6-3 that the privately held Aereo, Inc.’s business model was illegal. Aereo was founded in Feb. 2012 in New York City. While specific details are unavailable, Aereo is believed to be a wholly owned subsidiary of InterActiveCorp/IAC (IACI), the internet company led by former broadcast executive Barry Charles Diller. Aereo was owned by big media executive Barry Diller, who launched the service as an opportunity to monetize his competitors’ content. Mr. Diller worked for decades in the television and film industry. His prominent positions included serving as head of Paramount Pictures, Fox Broadcasting, and USA Broadcasting. In 1997 he struck out on his own, acquiring Silver King Broadcasting, which at the time owned parts of the Home Shopping Network (HSN) empire and the USA Network. He eventually would sell those assets and focus on the internet. Today his firm owns Match.com, OKCupid, About.com, Ask.com, CollegeHumor, The Daily Beast, Dictionary.com, Tinder, UrbanSpoon, and Vimeo. These assets have made Mr. Diller a rich man, worth $2.4B USD. But as the old saying goes, you can’t win them all. 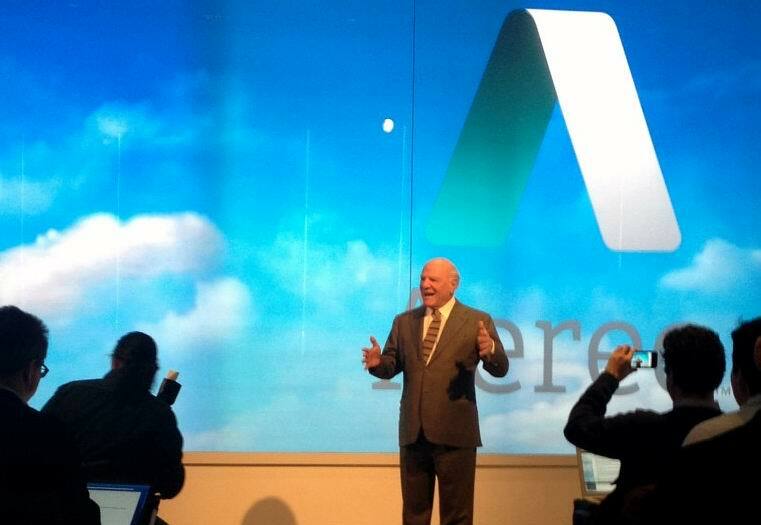 From the start Aereo was a questionable prospect, despite Mr. Diller’s enthusiasm. Its basic premise was to take content from channels that are broadcast for free digitally in the U.S. (broadcast television, not cable television), record that content, and rebroadcast it on demand to users on demand. The legal dilemma was obviously it was streaming content that it did not own. The irony was that in many ways what Aereo was doing was far more offensive egregious than (illegal) live streaming by members of the public, in that it was looking to profit off its content piracy, where as most live streaming sites are weakly monetized by ads, at best. At the end of the day Aereo — and its supporters — would consistently fall back on a technically ignorant argument — that its technology was akin to the DVR. As you’ll see some were fooled by the argument (and some still are). But the technical ignorance of that false premise is readily apparent. A normal user watching free broadcast TV would need to purchase a DVR and an antenna to record content. But at the end of the day the DVR is a private piece of recording equipment which is only legal when privately used. By contrast Aereo doesn’t have and never intended to have millions of completely seperate pieces of hardware — one per user. That would never be profitable. On the surface it appears that is what it is doing, though — at first. In each market, it used dime size antennas and small storage chips dedicated to a (transiently) to a single user to record copies of broadcasts. Aereo CEO Chet Kanojia poses with his company’s backend hardware. Aereo tried to exploit what it saw as a loophole in the law. By packing hundreds of dime-sized antennas on a server motherboard packed with storage, it created a monolithic tool to intercept and rebroadcast its competitors content, trying to legally defend itself with consumer DVR exemptions. But its overall architecture shares a common virtualized DVR interface, meaning that multiple customers are sharing the seem resources. While the customer may interact with it via an interface that reminds them of their DVR, the technology behind it is far different as a DVR records a copy to replay in one location. In this case Aereo’s servers record one copy, but then stream that copy to thousands of users. It’s a textbook definition of rebroadcasting, and it’s fundamentally different from how your DVR works. Aereo’s plan was to monetize its competitors copyrighted content by exploiting a loophole in the law — using a supercomputer with thousands of tiny antennas to make thousands of copies of copyrighted works which are then rebroadcast. The inclusion of redundant hardware is clearly trying to exploit the exception that personal copies legal. But its monolithic design and shared software layer makes it clear that this rebroadcasting device is quite a bit different from your average DVR on a technical level. That’s the root reason why Aereo suffered far more legal woes than TiVo Inc. (TIVO). To give a brief analogy, it’d be like if a business copyied all the articles off The New York Times, but gave each of its users a private storage chip and only made one copy per request. You’re doing something technically that’s far different than an independent user taking their client hardware (in the new analogy’s case, the PC) and recording a private copy for viewing. The monolithic, for-profit nature makes it clear that such attempts are obvious efforts to rob competitors of revenue by exploiting privileges that were intended to protect individual users (not corporations) in a very different scenario. • Dallas and Houston, Tex. And rates were relatively high — $1 for a one-day pass, or $8/month for 20 hours of manageable DVR service. 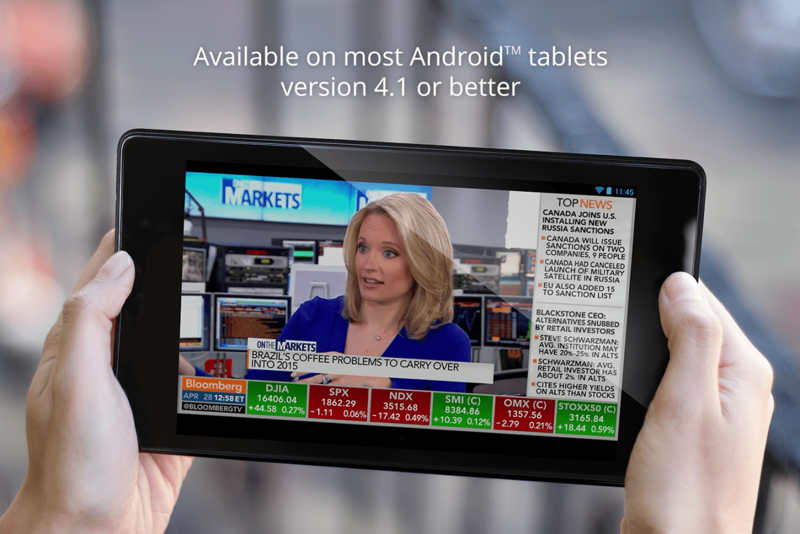 Aereo offered well made client apps (Android beta app pictured). One key challenge facing Aereo was purely an issue of business merit. Most broadcasters now offer a large part of their TV lineup on Android, iOS, Windows, and OS X for free, albeit on a slight time delay (typically episodes show up a day or two after they first broadcast). Likewise, if you’re at home you can simply watch broadcast digital TV either via a one-time cost (an antenna) or pay for a cable subscription (a monthly cost). So basically you’re $8 USD a month to get your… err your friend’s episode of Pretty Little Liars a day earlier — a rather dubious business proposition for most. And if you really have to get your content right away and for free, there’s numerous sources of streams of popular television channels, which can be watched anywhere for free (albeit illegally so). The advantage of Aereo was basically that it provided faster access to content, it offered basic DVR services, and it eliminated regional headaches (allow an American living or working overseas to access content from their favorite channels back home at any time). Aereo seldom released customer/subscriber figures. Studies from back in Aug. 2012, roughly a year after its launch, revealed it had less than 2,000 paying customers. Aereo charged customers steep monthly fees, but it only allowed them to remotely record free broadcast TV. As of late last year it had less than a million subscribers. It’s done slightly better since then, but its subscriptions remain low. In Aug. 2013, its founder Chet Kanojia spoke to a group of entrepreneurs at the Startup Grind event in New York City. He said that “if” Aereo can reach a million customers, it “will” have a “fabulous business”. That future hypothetical seemed to clearly imply that current subscriptions were fewer than 1 million. It did reveal in Feb. 2014 that in New York — its top newly added market — it saw 300,000 subscriptions. But overall Aereo likely still has fewer than 1 million long-term subscribers. At the same time, the recent SCOTUS ruling that its restreaming is a clear violation of copyright law has hardly been the beginning of Aereo’s legal woes. From the start, Aereo seemed to acknowledge that its approach — which critics say was essentially a media mogul (Mr. Diller) borrowing the concept of illegally streamed TV, adding features, and asking people to pay for it under the guise of a legal service — was of questionable legality. At its launch it set aside $3M for court cost. It looked briefly as if Aereo might pull off an unlikely victory on the legal front. At the federal court level Federal Judge Alison Nathan of the U.S. District Court for the Southern District of New York concluded that the 2008 SCOTUS Cablevision case proved the legality of cloud-based streaming and DVR services, and hence Aereo’s concept — while unorthodox — was not illegal. This remark was rather disingenuous, as it neglects the fact this wasn’t David vs. Goliath. It was Godzilla vs. King Kong. The battle was between one media industry insider and his fellow major leaguers. Mr. Diller effectively looked to take his competitors content and resell it, giving them nothing — a rather bold, and perhaps foolish gambit. It was very disruptive. If what Aereo was doing were legal, it would become perfectly legal for NBC to tape ABC TV shows, news, and other program, and rebroadcast it to customers or sell it to them even. The converse would also be true. It wouldn’t just be disruption — it would be massive disruption. Moreover, while media seemed to take a sympathetic view of Aereo (see headlines such as Reuters “Big broadcasters vanquish upstart Aereo at U.S. Supreme Court” or The Verge’s “Aereo loses to broadcasters in Supreme Court fight for its life”). Such titles are not only misleading, but they also are somewhat hypocritical, in the sense that if it is legal to capture and resell someone’s video work, surely it should be legal to do the same with text. If what Aereo was doing was legal, it stands to reason that you could make clone websites or apps that stole entire articles of content from The Verge or Reuters without fear of prosecution. From the start, much of the media has ignored the fact that Aereo itself was a big media firm, from one of the richest men in broadcast television. And the irony was that while a victory would have been destructive to companies with free broadcast content, it would have been a pyrrhic victory because the broadcasters had the nuclear option — drop the free and go all cable. This wasn’t a hollow threat. The market was already trending towards the slow death of free broadcast TV, so a hastening of the switch wouldn’t be as drastic as it might sound. There’d be some financial damage, but if free content were deemed unworthy of copyright protections, the end outcome would be apparent and inevitable. 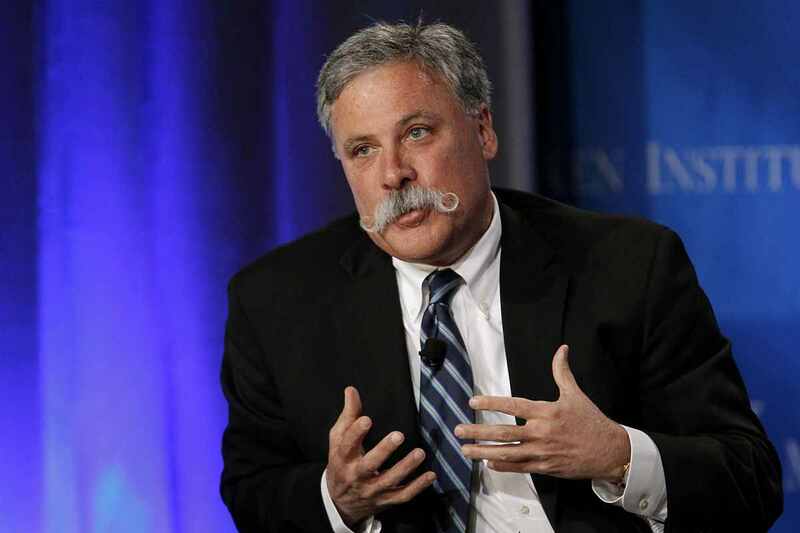 Chase Carey, COO of News Corp., vowed to make Fox cable-only if Aereo one the right to resell its non-cable. Univision Communications Inc. (UCI) and CBS Corp. (CBS) also announced plans to potentially terminate their free channels and go cable only, if the Supreme Court ruled that Aereo’s service was legal and not infringing on the content it recorded and rebroadcast without permission or payment. Free to Steal Content Rights if It’s Free? But there’s an even greater irony in the internet media’s generally sympathetic reaction towards Aereo’s business model. Had its tactics worked, the broadcasters would have sped up the slow death of broadcast television and gone all cable. Thus, the end result would likely be the same as the current one — the likely shuttering of Aereo, a loss to its small legion of subscribers. But had the cable companies won, the immediate loser would likely be advertising supported internet websites. Had Aereo’s tactics been deemed valid, anyone could start a site that reposted full-fledged articles from other sites without payment or permission. Or if you wanted to get into semantics, you could encourage users to repost such content so that — like Aereo — you could shift the blame to them. Such a precedent of holding an open season on republishing content offered for free would have been modestly destructive to the television industry, but it would be almost a killer for the internet industry as we know it. That’s the irony. A loss for Aereo before the SCOTUS was really a virtual non-event, as streaming content you don’t own for profit has long been illegal for everyday pirates. If the decision holds any pivotal significance it’s in upholding the need for copyright law and declining to cast the market — or at least market of freely offered content into anarchy. The latter half is apt, but the former half is pure hyperbole. There have been many cases by the SCOTUS since the Betamax ruling which have done exactly what this one did — outlaw the resale of copied content without permission of the content creator, even if that content was offered for free. This isn’t even remotely close to the Betamax case. It’s not forbidding you from copying and recording content for personal use — even in the cloud. Otherwise TiVo and its restreaming technology would be panicking. Rather, it’s about that you don’t have permission to copy the content someone else gave you for free, then turn around and sell that copy to someone else. Aereo was absolutely disruptive, but it wasn’t just the internet versus big media. It was more of a battle between content anarchist and those who believe in some level of content protection, even over free content (as Mr. Diller’s firm was unwilling to pay the content providers any content of the subscription fees he charged). And the anarchist lost. In its ruling, the Supreme Court concluded (with Justice Antonin Scalia, Clarence Thomas, and Samuel Alito dissenting) that what Aereo was doing was illegal, vacating the lower district and circuit court decisions. Justice Scalia likened the service to a “copy shop that provides its patrons with a library card” in a dissent, which conjures up the image of a public library. The only problem with that analogy is that a public library is free. It doesn’t charge you a $1/day fee or an $8/month fee — at least not directly. Moreover access is limited as only one patron can have a physical copy at a time. By contrast Aereo’s technology is closer to a mass rebroadcast as an unlimited number of customers could add the content to their DVRs after one user requested it to be recorded and Aereo’s DVR hardware recorded it on the back end. 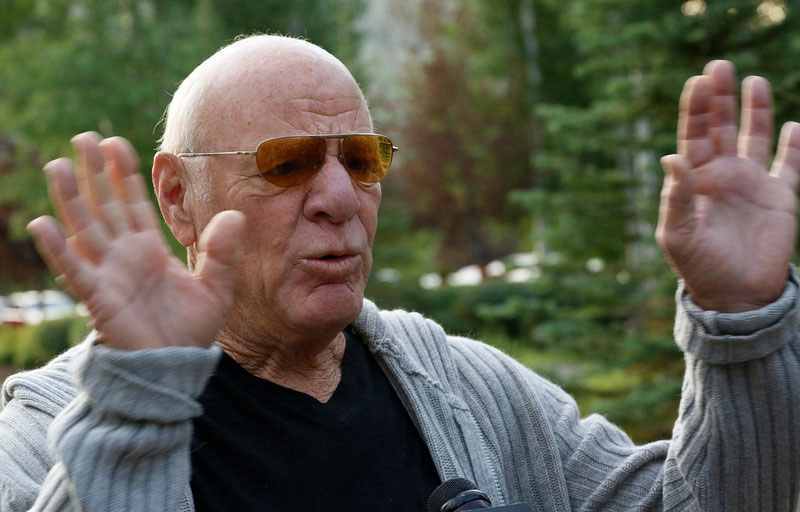 Billionaire former TV executive Barry Diller’s critics say he “got caught with his hand in the cookie jar” with Aereo. That hardly sounds like the commentary you’d expect if Aereo was looking to survive via licensing. The message seems to be that if Aereo has to pay for the content it’s taking from others and reselling, it wants out. The coverage from the media has been sharply divided. 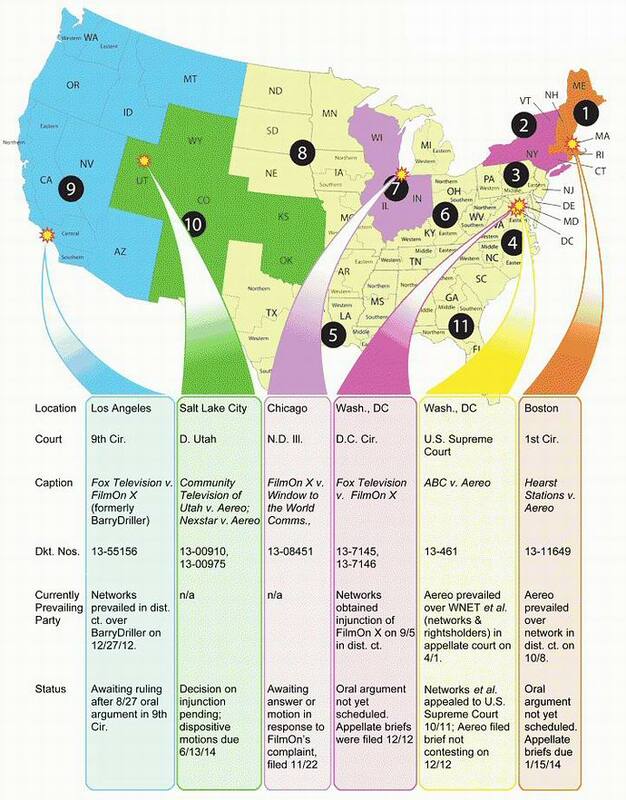 Media owned by large corporate entities whose content Aereo was infringing on (e.g. CNBC) took an understandably critical tone of Aereo. But what was more interesting to see was the highly sympathetic tone towards Aereo in some press outlets that did not have video holdings tied to the case. The irony is while these reactions, subtly, or not-so-subtly implied that the Supreme Court was suppress “the cloud”, technological progress, and or freedom in general, in reality those griping arguably just dodged a bullet. Had Aereo’s model been found legal, replicating virtually any free web content and republishing it to the world would be legal. That would be catastrophic to the internet. Grumble as the media may, in protecting high quality free content, the consumers are arguably the true winners in SCOTUS’ decision. Ironically, The Verge’s critical piece on the decision has a copyright notice demanding the same kinds of protections on its free content that it’s criticizing TV broadcasters for protecting. The outcome is the expected and fortunate one. If anything the observers in “independent media” should be exhaling a sigh of relief — for now, SCOTUS has upheld that someone cannot take your free content without permission and rebroadcast (and resell) it to others. If, however, you think free content should not be protected and controlled by its owner, put your (advertising) money where your mouth is. Publish a notice on your website that you can copy any article without permission. See what happens. Otherwise (directed to members of the media), you might be wise to recognize the obvious — the decision, quite possibly saved your jobs. And, also, for those that think simply morphing a technology into a revenue stream is enough cleverness to distance from an originality to count as genuine — think again. Whenever money is involved, there will always be claims of Copyright, and this singular SCOTUS decision only proves that lunacy will prevail, not necessarily justice. The money spent on lobbyists and legal process is directly proportionate to the possible income of the verdict, as demonstrated by the flip-flop decisions and meddling by Congress. SCOTUS’ outrageous Flip-Flops and illegally(?) influenced Congressional meddling outlined in this re-published Article + Video. The Bottom Line is that America is not for Americans, only American Corporations, and we are simply the Sheeple that provides a means of profit.